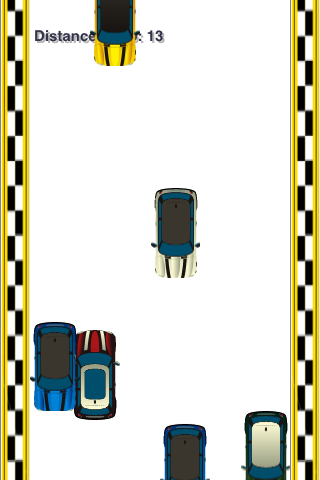 You drive a tiny car against oncoming traffic! No brakes! Tilt your device to escape.